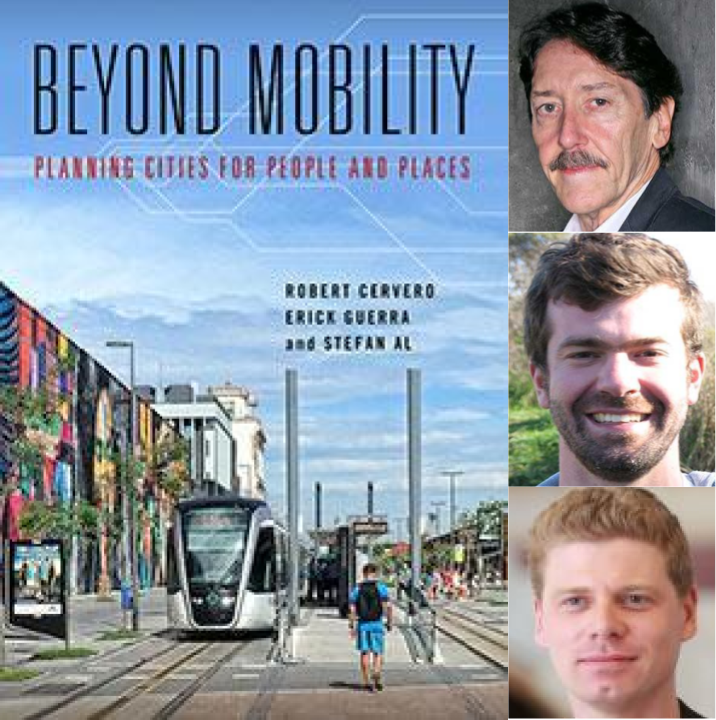 TransportiCA: Questions for the January Book Club Selection: "Beyond Mobility"
Questions for the January Book Club Selection: "Beyond Mobility"
For the January 2018 Book Club selection, TransportiCA has chosen Beyond Mobility: Planning Cities for People and Places, by Drs. Robert Cervero, Erick Guerra, and Stefan Al. (1) Although currently an Emeritus Professor, Dr. Cervero is also the Director of what institution? (2) Besides instructing at the University of Pennsylvania, Dr. Guerra also has taught bicycle planning, where, outside the U.S.? (3) Dr. Al has authored many books. Which one will also be released this year? No purchase is necessary, as questions are not taken directly from the publication, but from respective technical information and publicity. To send-in your responses, submit via TransportiCA's "Contact Form" on the front-page (bottom left), sending your name, email address and answers. The deadline for submission is 23:59, Wednesday, 31 January 2018.